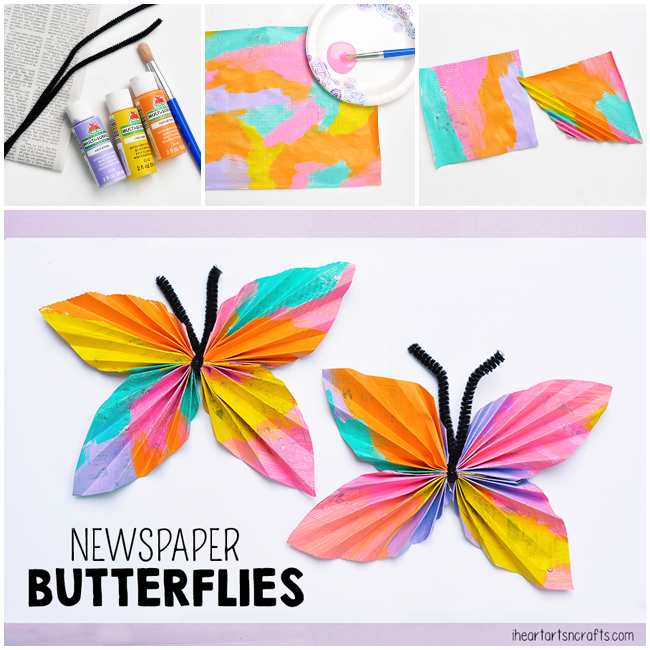 This post is part of the Kids Craft Stars monthly challenge, so be sure to check out some of the other creative newspaper crafts at the end of this post! 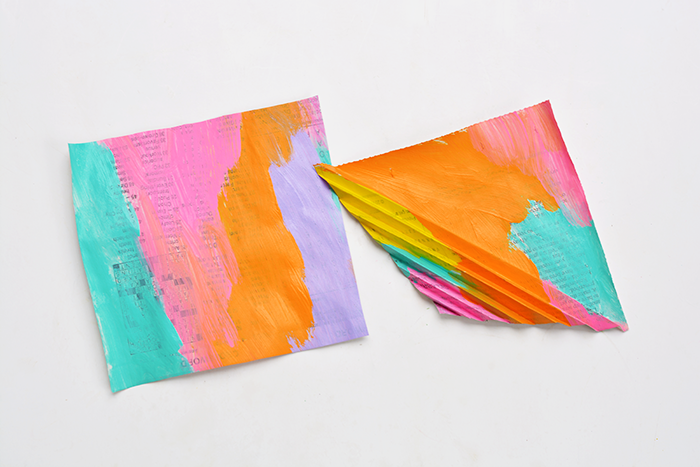 Or tag us on Instagram with the #kidscraftstars hashtag to share some of your favorite newspaper crafts. For the life of me, I could not think of a craft for this weeks newspaper challenge. But I knew it would be something colorful so I brought out some of our favorite Spring colors and the kids painted. We covered all of the newspaper and hung them up to dry. 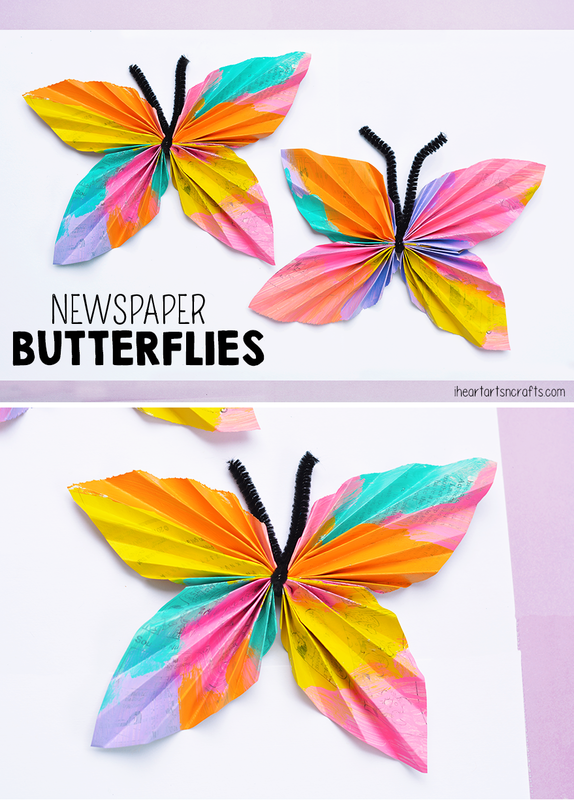 Seeing all of the pretty colors hung up reminded me of our Butterfly Egg Carton Garland we made last year, so I knew I had to make some butterflies with all of these colorful pages! 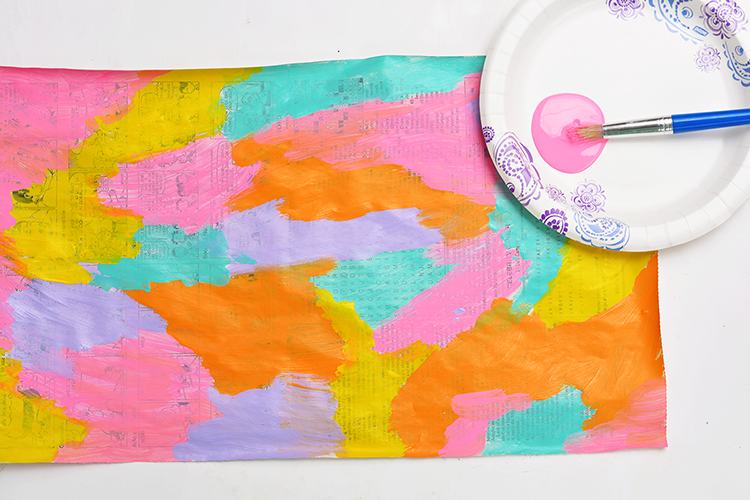 First we started by painting our newspaper with some acrylic paint. Of course the next step is cutting your newspaper, you can always cut before you paint but this is just how we did it. After you’ve painted then set it aside to dry. Watercolors would work for this craft too, it just depends on what kind of look you’d like. 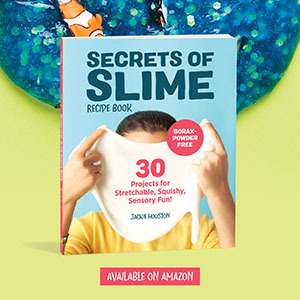 The watercolor dries more see-through than the acrylic paint. Next fold your newspaper in half and then cut, then continue to do this until you get 8 small squares. Then start folding a corner accordion style, continue to do this for every square piece you’ve cut out. Finally, you’ll need two folded squares for our butterflies. One for the top set of wings, and the other for the bottom set of wings. Simply pinch the middle of the squares together and twist your pipe cleaner around it to create body of your butterfly. Then you’re finished! These would look so cute displayed as a garland for Spring!